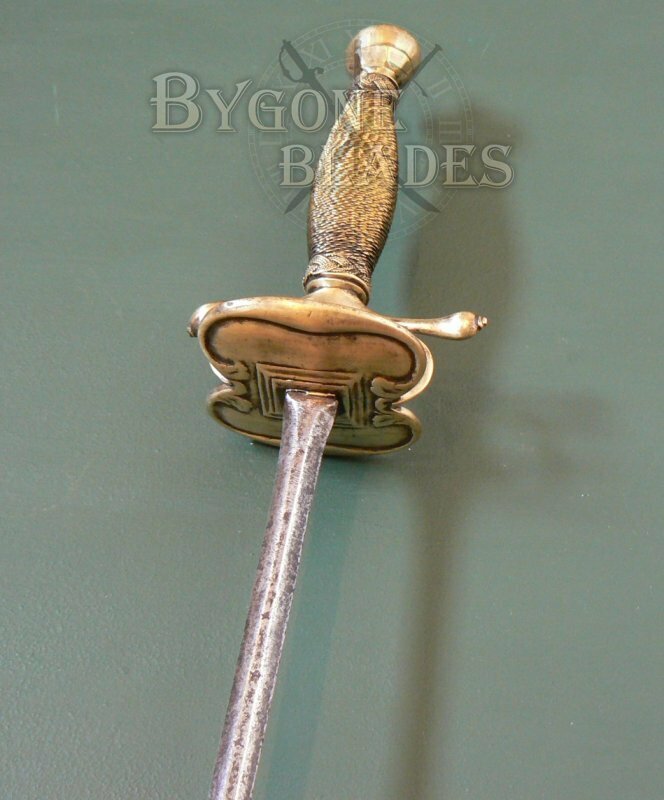 A fine and rare example of a17th Century Dutch small sword dating to the mid to late 1600’s. 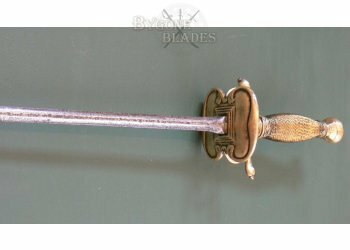 The 724mm double-edged two-phase blade begins as hexagonal form with a flattened medial ridge, becoming lenticular in cross section for the last two thirds of its length. 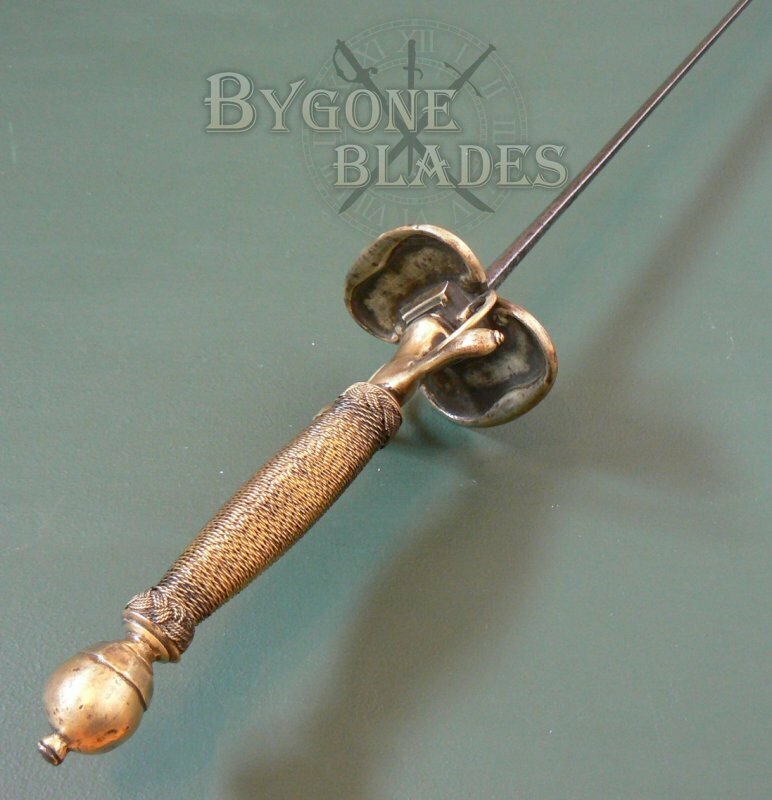 The blade tapers to a needlepoint. 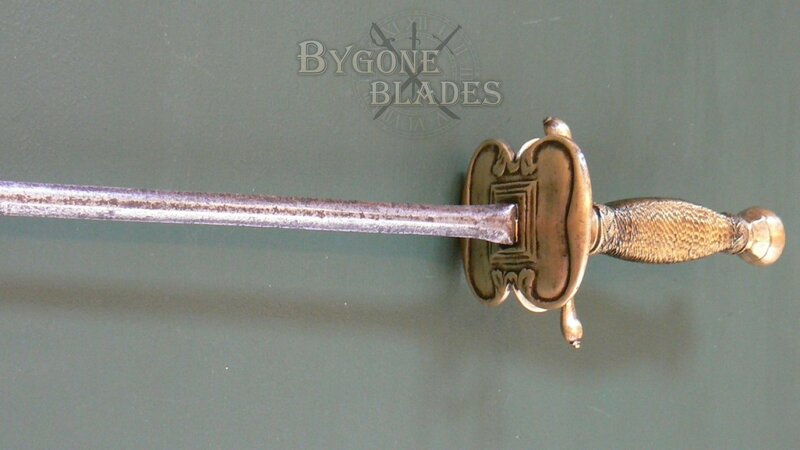 The blade is incised on both sides with five “X’s” along the flattened medial ridge. I have seen this mark before on similar 17th Century blades and believe it to be the maker’s mark, the maker who was most probably illiterate, quite literally making a cross to sign his name. 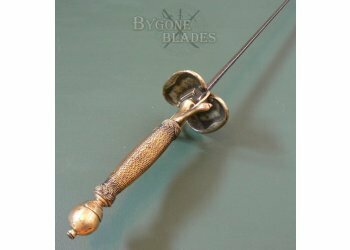 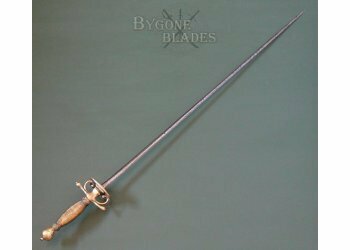 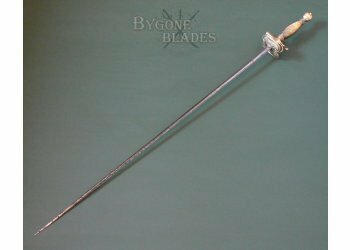 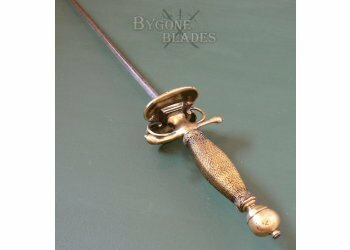 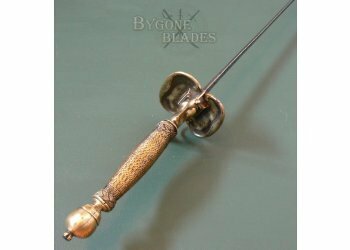 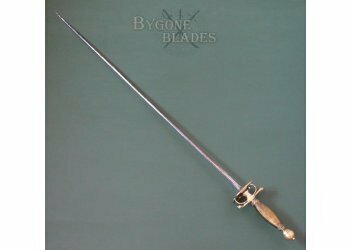 The blade is in fair to good condition for its 350 plus years of age, with a grey age patina and patches of darker tarnish along its length. 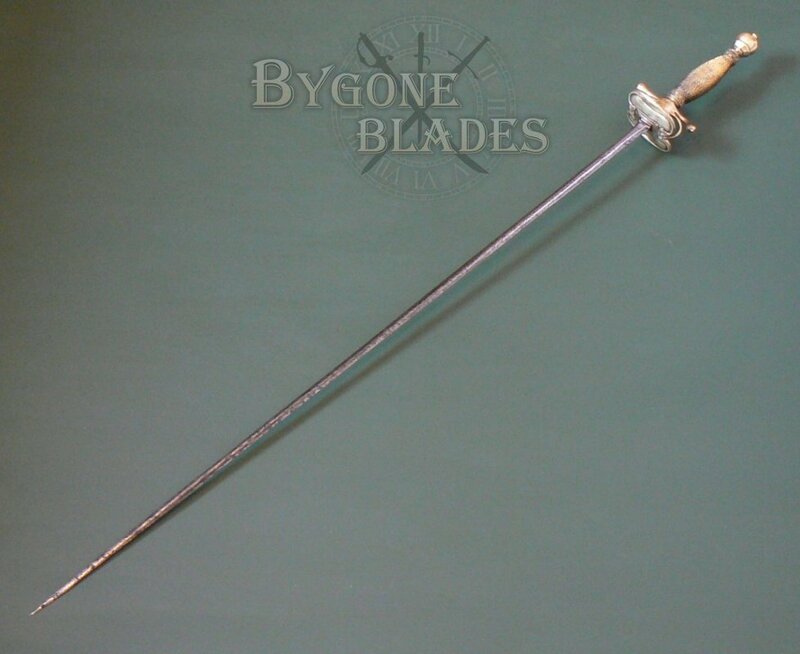 There is no active rust. 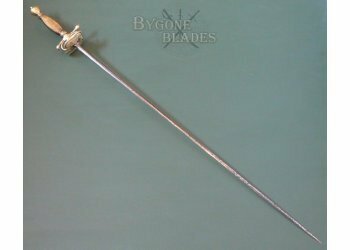 There are small areas of shallow pitting. 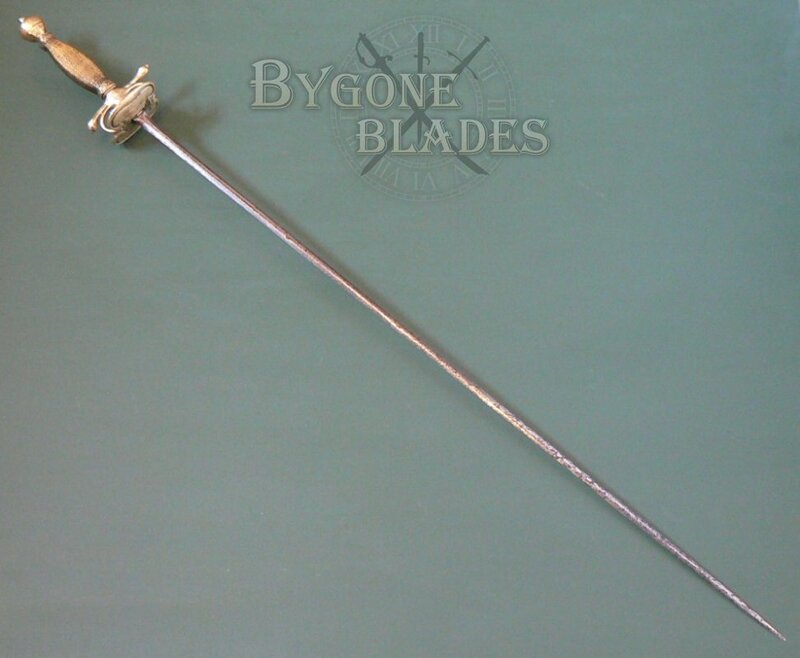 The blade is straight and flexible with its original point. 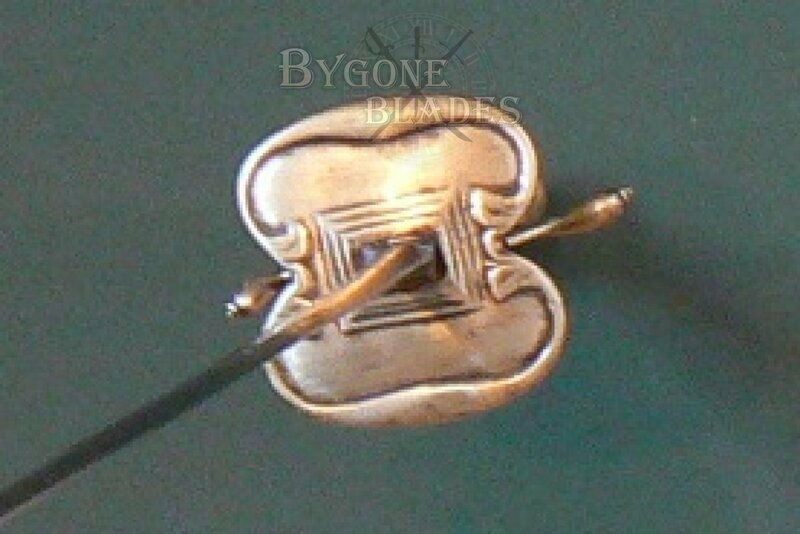 The squared brass guard is of typical bi-lobed form and is firm. 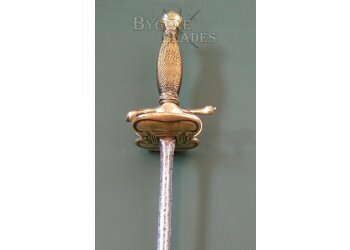 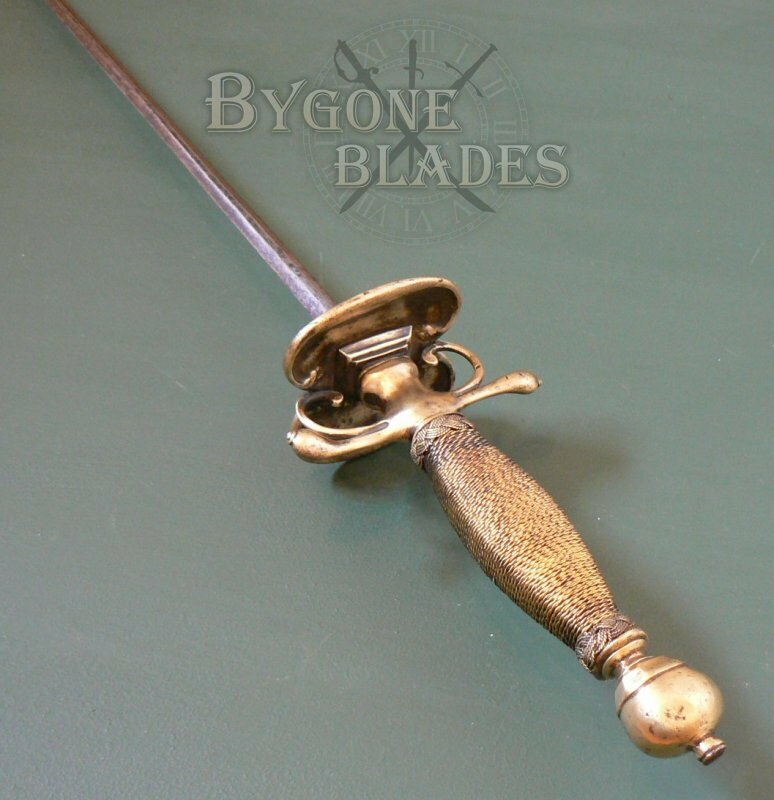 The baluster form grip is bound in twisted brass wire, which is intact and tight and terminates in a ball pommel. 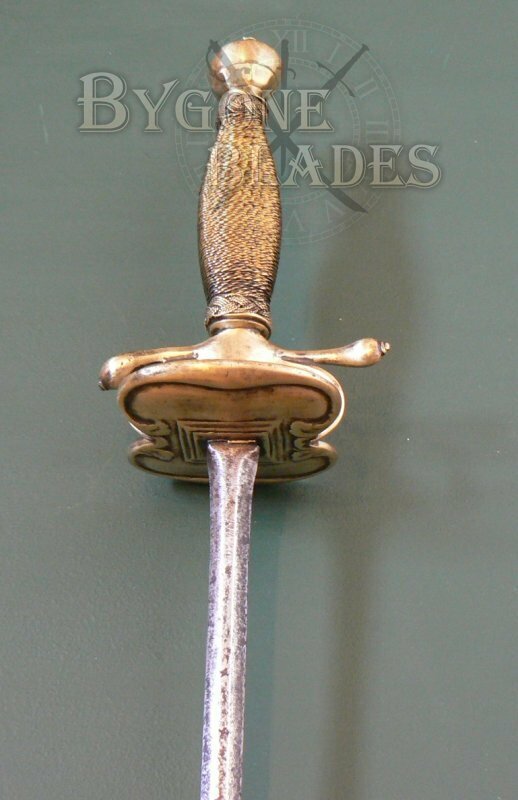 The hilt is in overall good condition, with some mild tarnish. The blade is firm in the hilt. 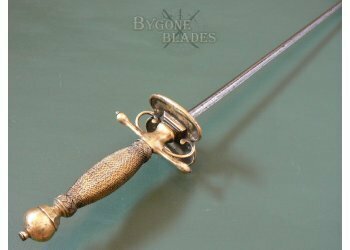 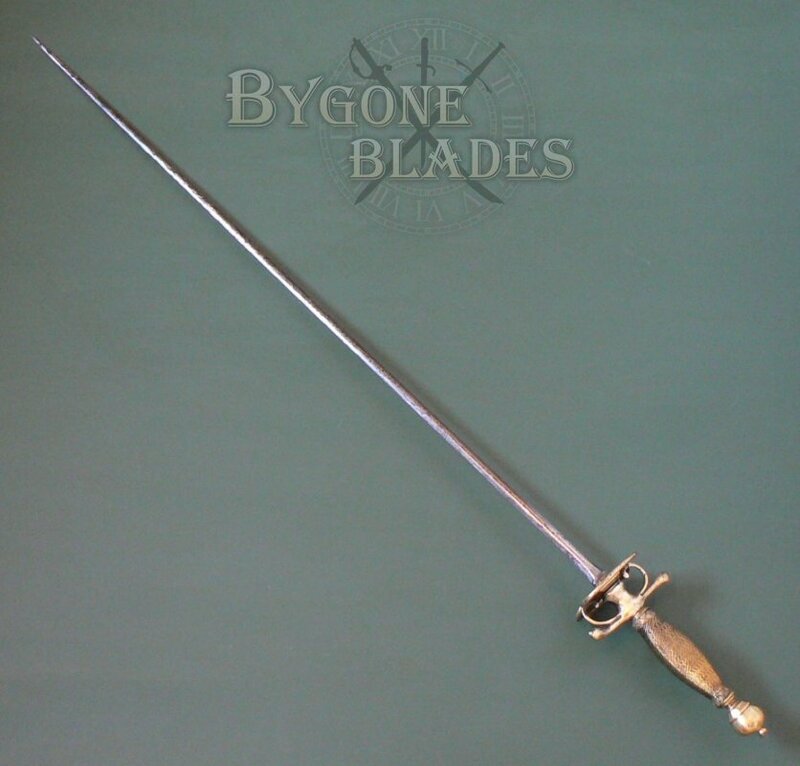 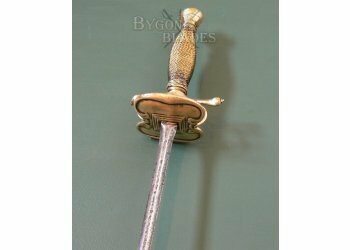 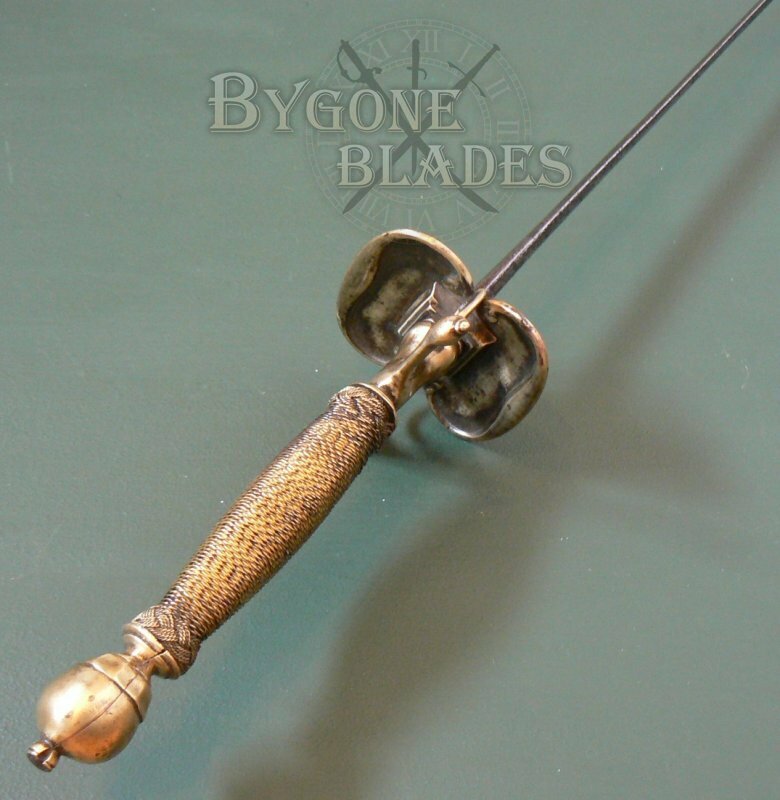 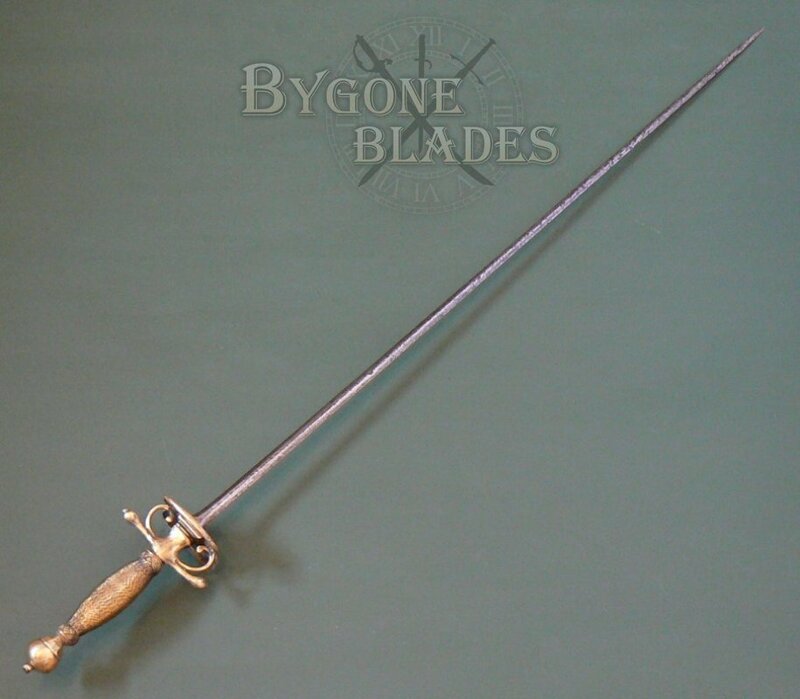 A nice and rare Dutch small sword that would have been the property of a middle class man.